In Charles Dickens's classic tale of society, Pip is a boy who wants to be a gentleman. When a mysterious benefactor provides Pip the money to better himself, he moves to London to learn all he can to impress and marry the beautiful Estella. But when the benefactor surfaces, all could be lost. 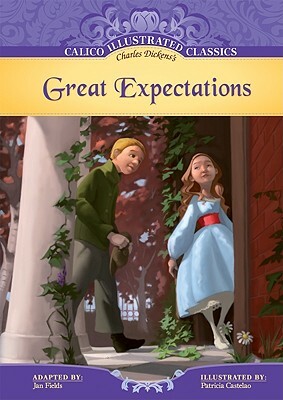 Young readers can follow the tale of love, wealth, and friendship in the Calico Illustrated Classics adaptation of Dickens's Great Expectations. Calico Chapter Books is an imprint of Magic Wagon, a division of ABDO Group. Grades 3-8.